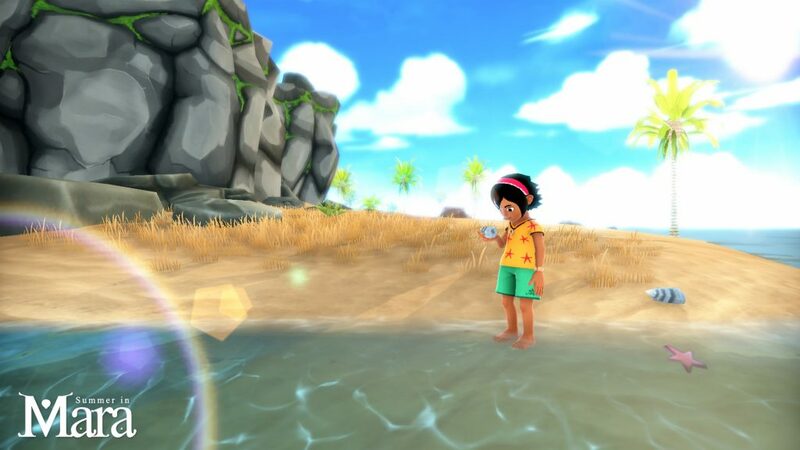 Summer in Mara - Tropical Adventure Game Launches Kickstarter! “Summer in Mara” A Tropical Adventure Game Needs Support on Kickstarter! Summer in Mara, the new game by Chibig Studio, has launched a Kickstarter campaign. Set in a tropical archipelago, Summer in Mara has been described as a summer adventure about taking care of your own island, farming your land and crafting new tools. You can also sail away to explore the ocean! I don’t know about you, but judging by the trailer, Summer in Mara seems like an indie game I will enjoy playing. The cute designs and bright colors featured in the art style make everything look very appealing. Do visit the Kickstarter campaign. The goal is to raise $22,864. According to the press release, for €16 (around $18), you can get the digital version of the game for PC, PlayStation 4 or Nintendo Switch. An artbook with all the concepts, illustrations, and work from the game’s artists. The OST by Paco Mitos and Adrián Berenguer. Summer in Mara will be available on PC, PlayStation 4 and Nintendo Switch in summer 2019. You can keep up with the title on Instagram, Twitter, Facebook, and the official website.